Bulk custom imprinted Fanny Packs made of sturdy nylon ripstop material. Ripstop fabric is a woven, water-resistant nylon-threaded material that resists tearing and ripping. We also supply wholesale blank (not imprinted) Ripstop Fanny Packs. 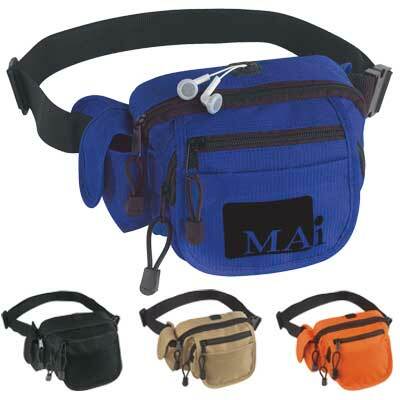 Budget Prices in USA and Canada for wholesale promotional Ripstop Fanny Packs. American clients pay no taxes.